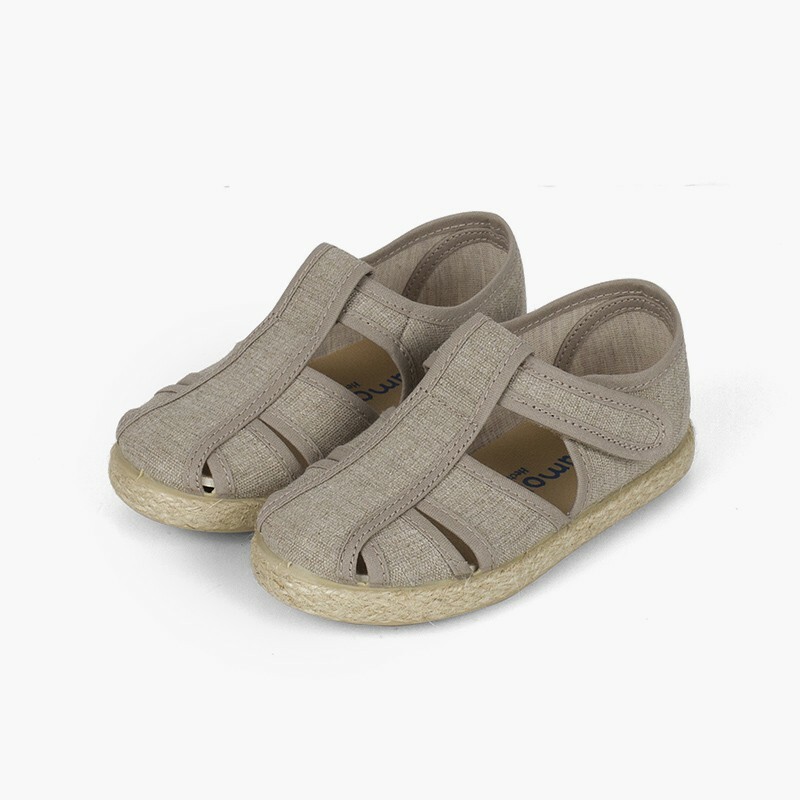 Have you seen these boys' spring-summer sandals? 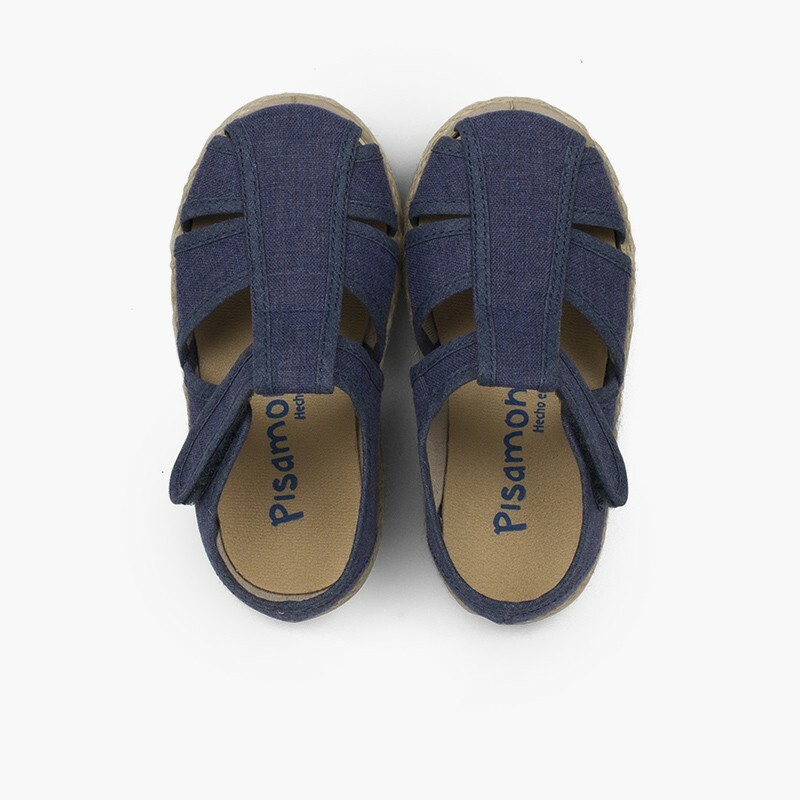 The nicest, most comfortable shoes for your little one, with all the style and quality of Pisamonas! 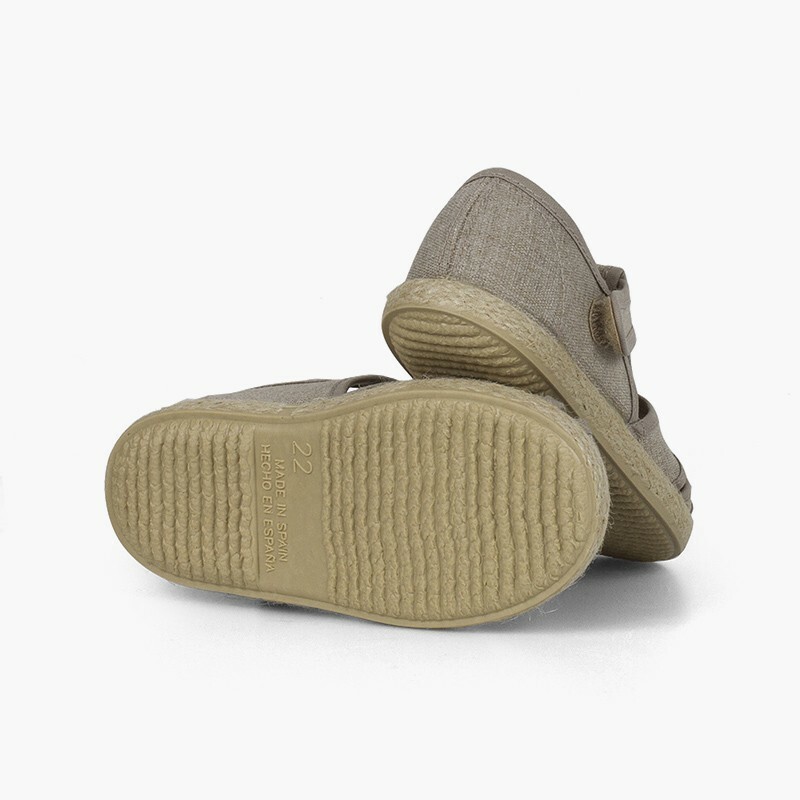 These T-bar shoes are available in sizes 20 to 26, for those kids who've already taken their first steps and now need stable, resilient shoes to give them stability in each step. 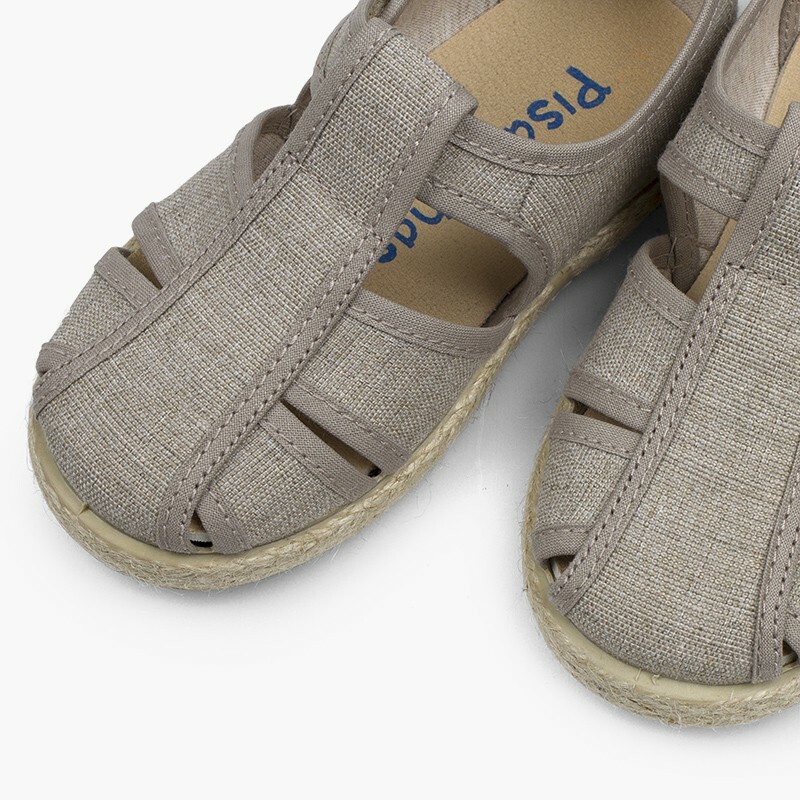 Suitable for toddlers up until the age of three. 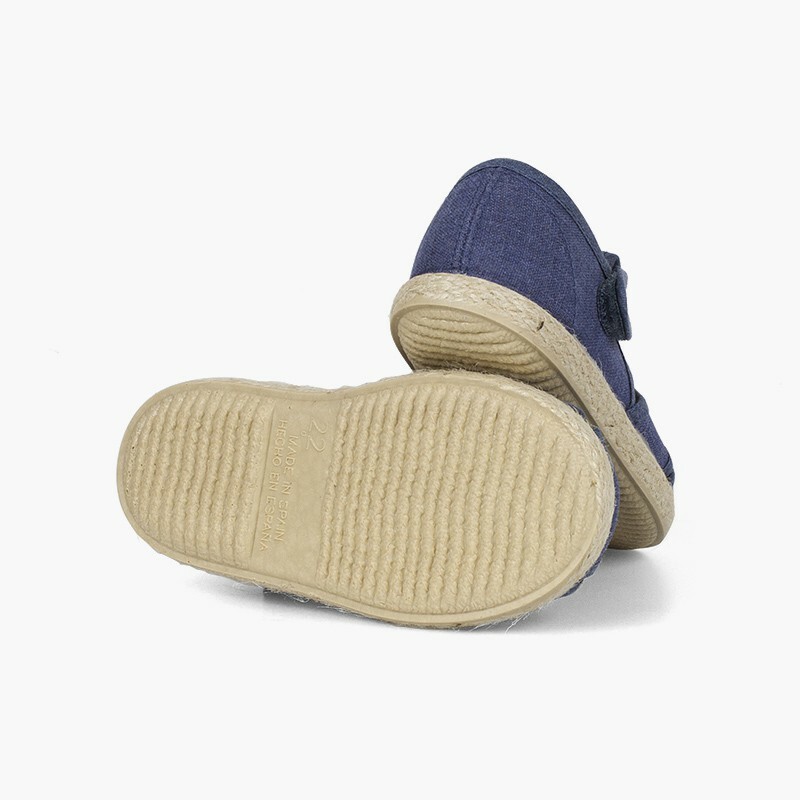 Made of canvas with a denim-like finish and designed with openings to let the foot breathe. 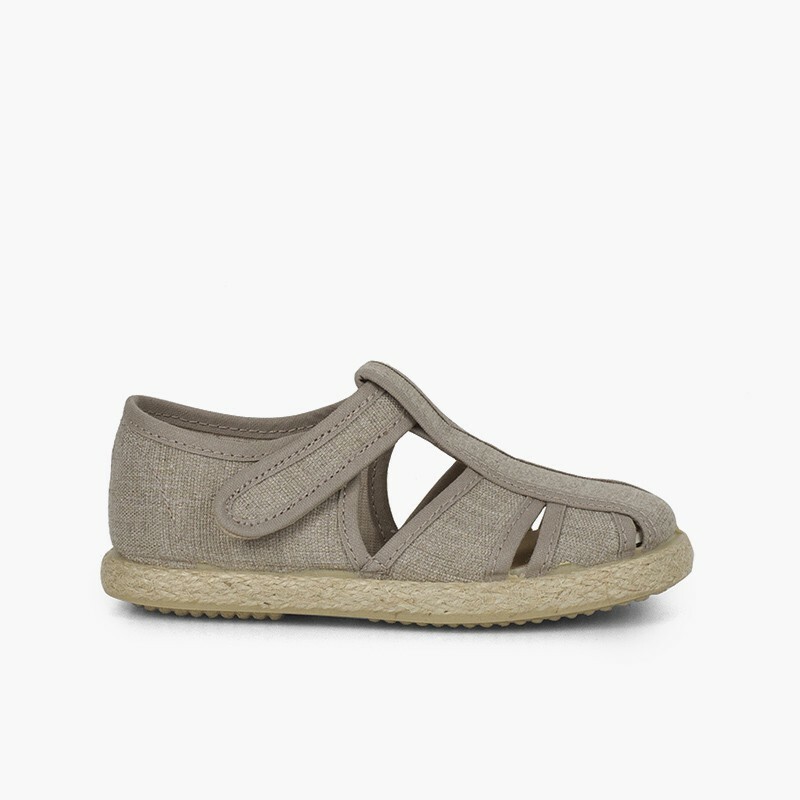 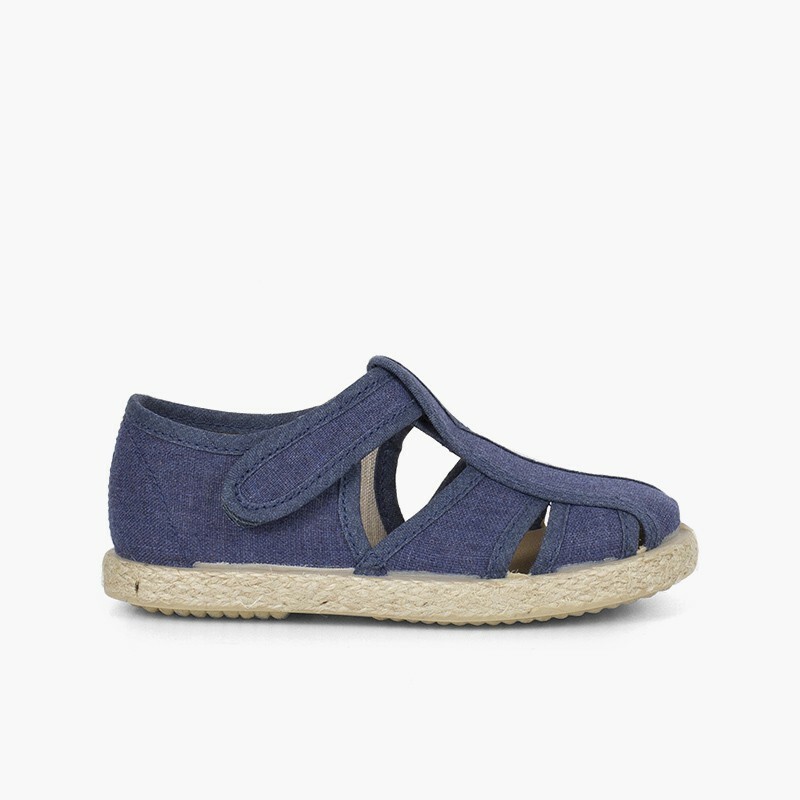 These boys' sandals have a jute band around the sole, which adds a summery touch, and a comfortable Velcro closure. 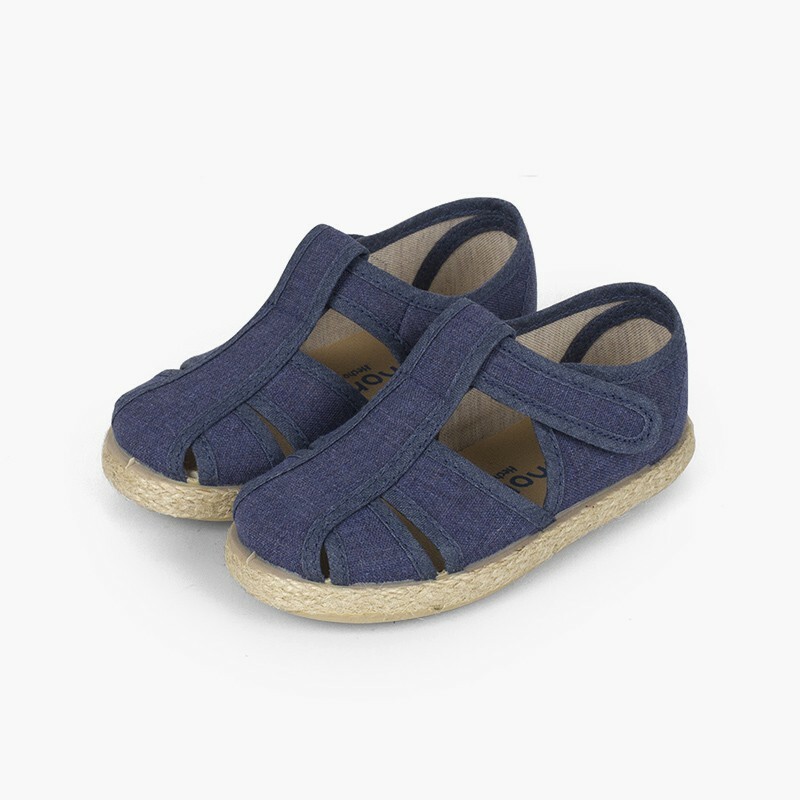 These shoes are available in both navy blue and a natural ecru colour, so your little one can wear them with all their seasonal outfits. 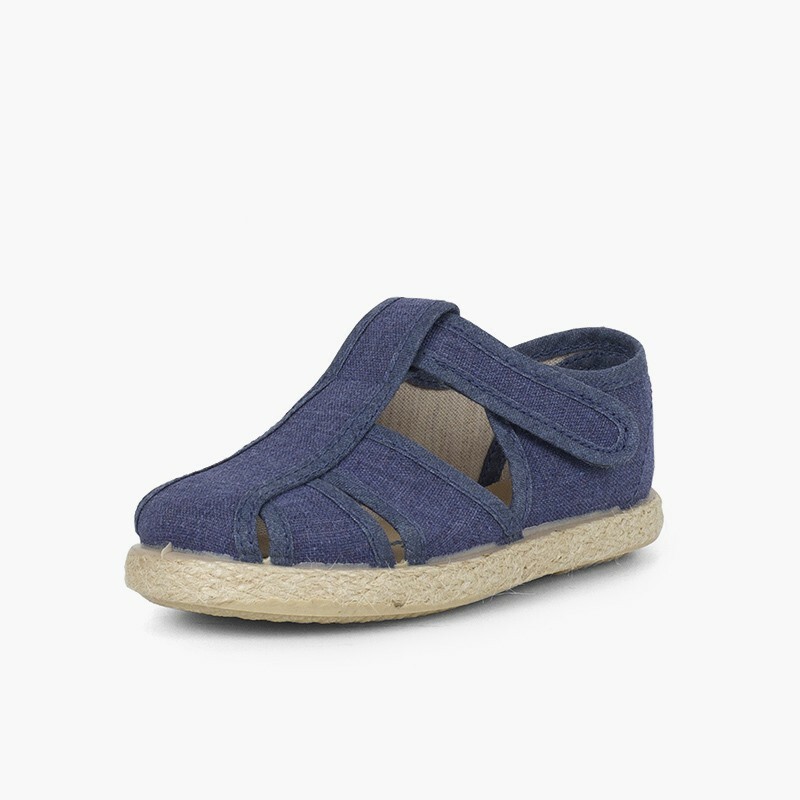 Perfect for summer looks on the beach or for toddling around the city! 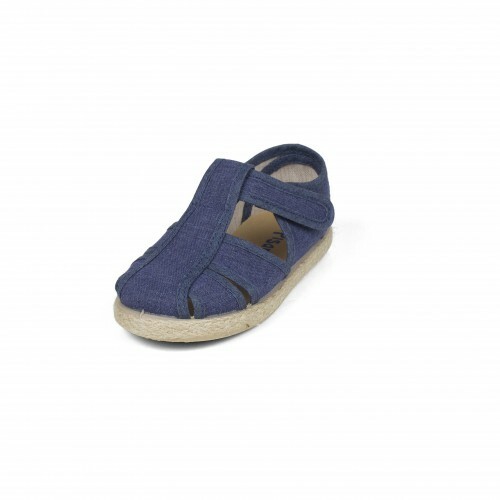 Get these T-bar sandals for your little one! 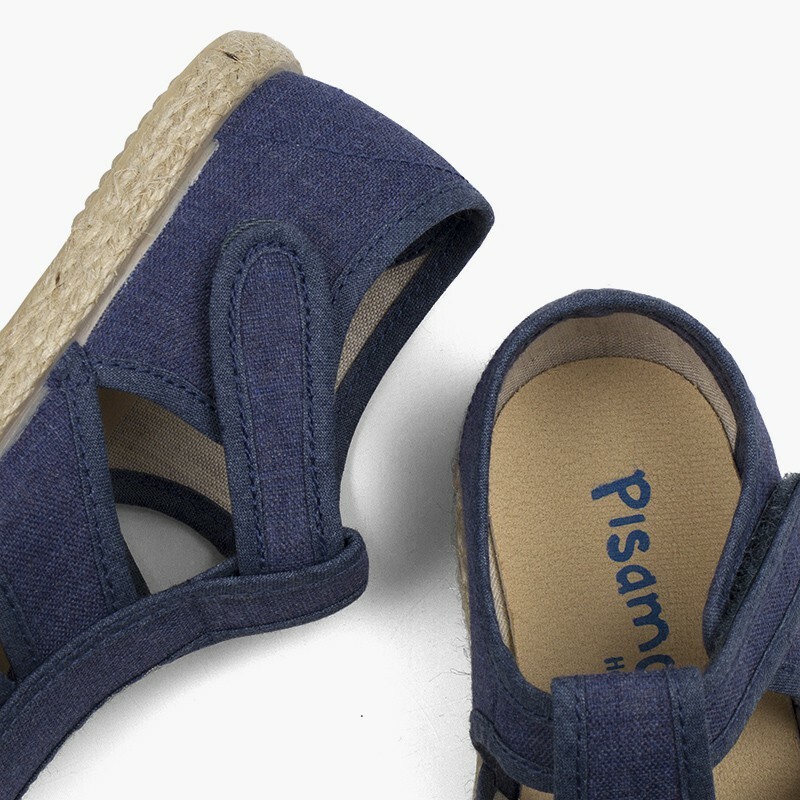 You can receive them right to your front door with no additional cost because, as always at Pisamonas, shipping, exchanges and returns are completely free! 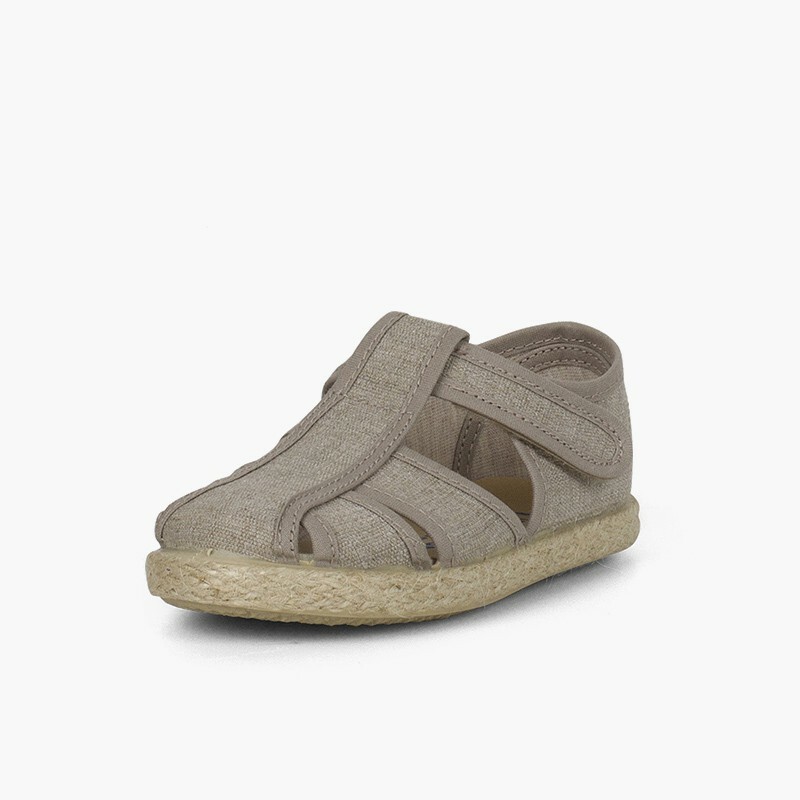 So your little one’s feet can stay fresh in the heat, but above all well protected!